Our pets should consider themselves lucky. They’ve got a roof over their heads – and tails, they’ve got food in their bowls and hugs on tap. If only all the animals in Australia had it so good. Unfortunately they don’t, and we think it’s only right to take care of those who can’t take care of themselves. 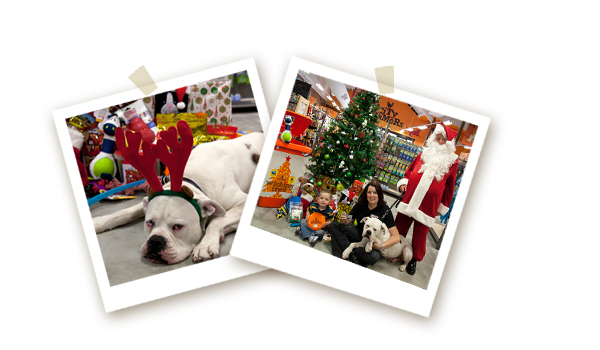 We aim to help as many like-minded organisations as we can, whether it’s through a good old sausage sizzle fundraiser at our stores on the weekend or donating toys and treats with our annual Wishing Tree Appeal at Christmas time to make a homeless pet just a little happier. We’d love to help everyone but there’s only so many sausages we can sizzle, and doggy treats we can donate. So we focus on a couple of pet causes that we feel really passionate about at City Farmers. We’re all for organisations, especially community groups, who look after the welfare of our feathery, furry and finned friends. Those who promote adoption, responsible breeding and pet ownership also get help and a friendly nuzzle from City Farmers. We dig sustainable gardening too – local community groups and schools that have their own veggie gardens get a green thumbs-up from City Farmers. Community events like Dog’s Breakfasts, Pet Parades and Community Fetes also get our tails wagging. If you or someone you know is involved in a similar community organisation that needs a helping hand, please email our National Support Office.